The Heljan based 47212 with Shawplan grilles and Laserglaze windows and replacement handrails all round. The difference in appearance is quite noticeable. The class 47 is one of our favourite types of locomotives! They were very common in North Lincolnshire (well, very common everywhere at one time!) 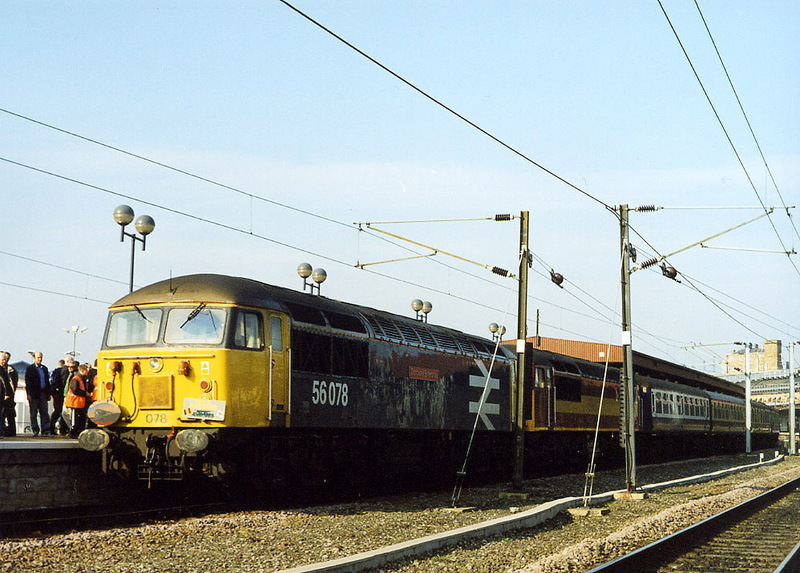 with a good number allocated to Immingham TMD in the nineties for petroleum traffic. 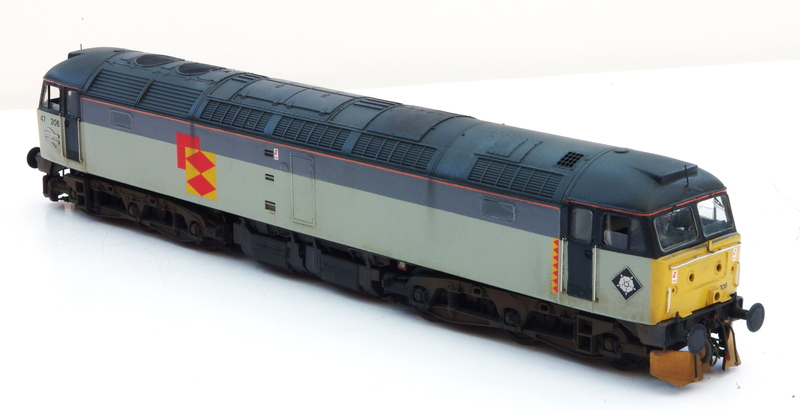 Class 47, 47380, in primer – the model proved how there is no such thing as a completely standard class 47! 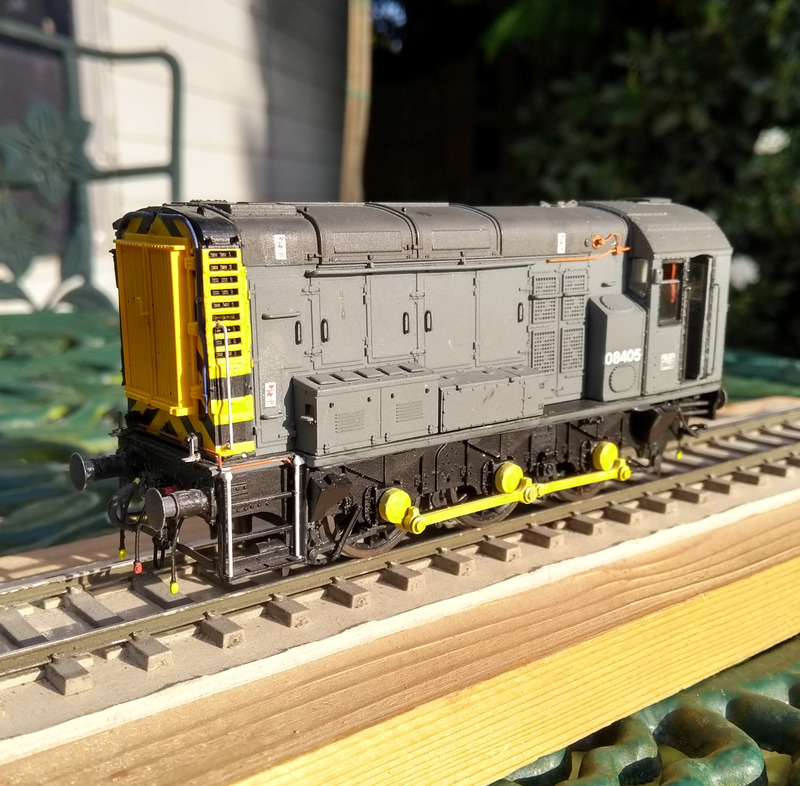 There are various options when it comes to modelling the type and various methods will feature on West Halton – Lima and Heljan will feature and a Bachmann example lurks in the workshop too. ‘The Bayer Method’ as described by Gareth Bayer in DEMU UpDate back in Autumn 2001. 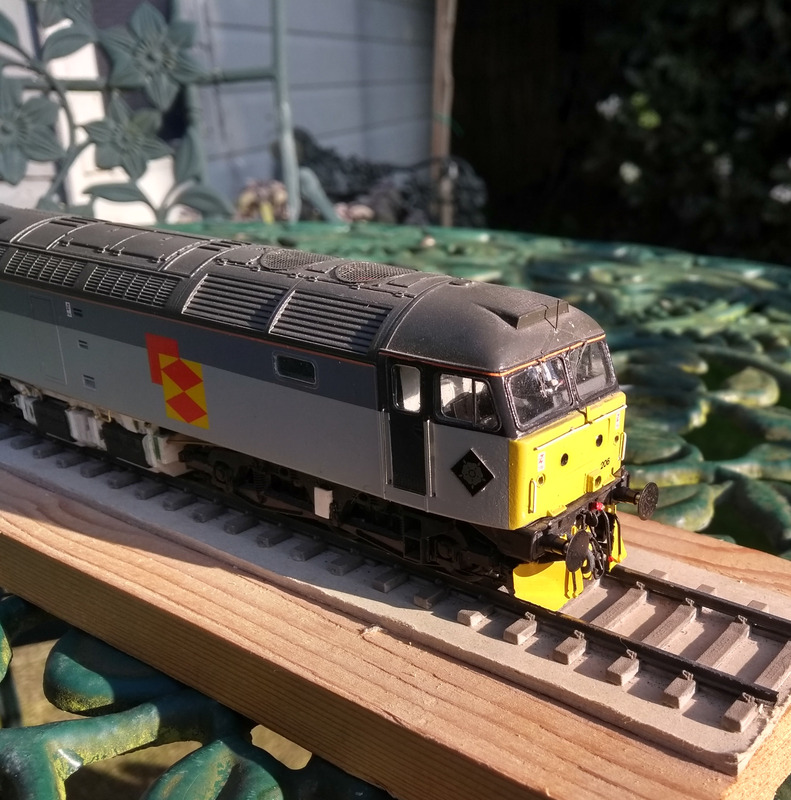 All benefit from varying amounts of work – the Lima model especially take a lot of work to bring them up to standard, but they do make very satisfying projects and it exploits the fine tooling of the Lima body too. Penbits sprung bogies for the Heljan class 47 chassis.